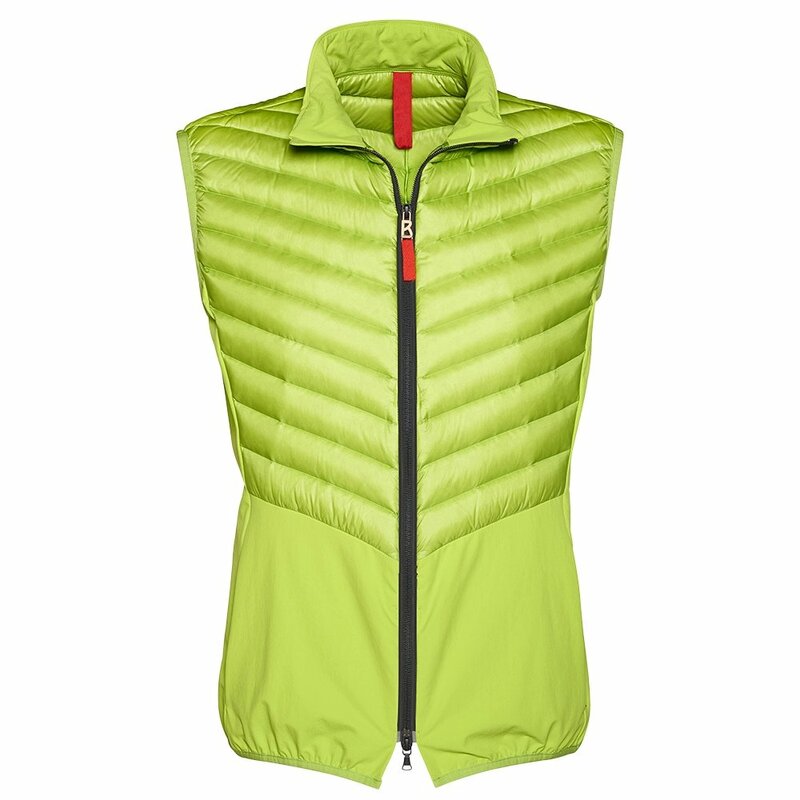 The perfect layering piece for cold days, or on its own for less-cold ones, the Bogner Fire + Ice Bent-D Down Vest brings warmth you can use with easy to wear style. The quilted panels are constructed from two layers of material, preventing down blowout like you get from lesser brands, so all of the 750 fill power duck down inside stays where you need it to keep warm. A stretch collar and herringbone elastic taping at the hem and armholes keep the fit secure without restricting movement, and a water repellent finish helps it shrug off snow with ease. Center Back Length measures 28"